Harley-Davidson has inked a deal with SmartREIT for its new Canadian HQ at the recently opened KPMG Tower in Vaughan. 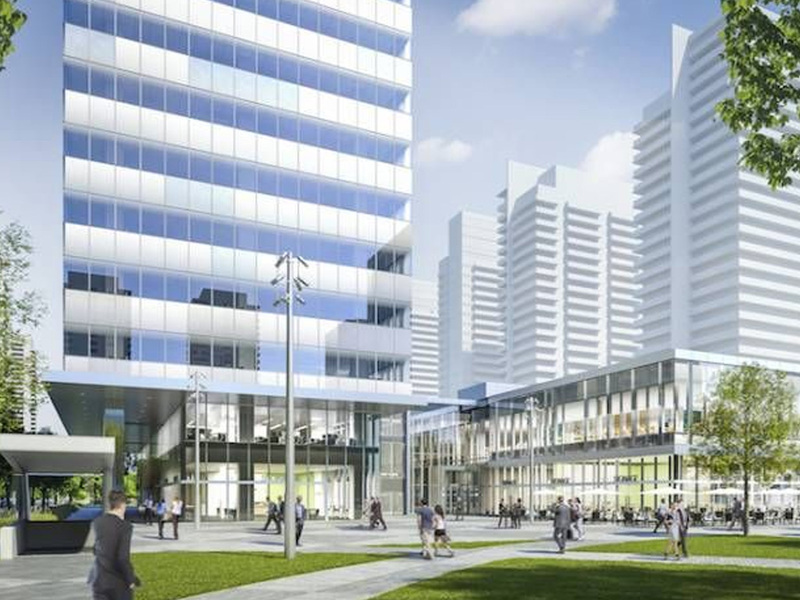 The 360k SF tower (rendered above)—with direct access to the extended subway—is the first new building at SmartCentres Place, a 100-acre, 17M SF project anchoring Vaughan Metropolitan Centre, Canada’s largest mixed-use development. SmartREIT has launched a second office building, the 220k SF PwC Tower, with 53 acres of land around the subway station owned in a 50/50 JV between SmartREIT and its chair, Mitchell Goldhar. The partners plan to develop up to 10M SF of commercial, residential and retail there.